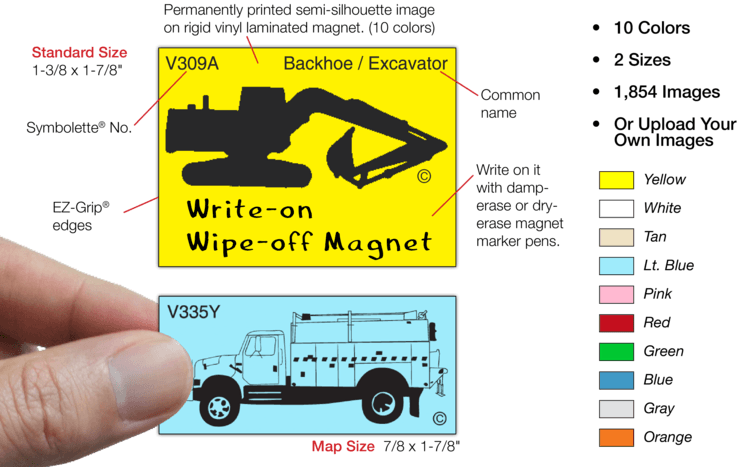 Symbolette® Equipment whiteboard and map Magnets are permanently printed semi-silhouette images of vehicles, construction equipment, aircraft, tools, etc. (over 900 items in 2 sizes in 17 categories). Available in 10 colors in Standard and Map sizes (see below). 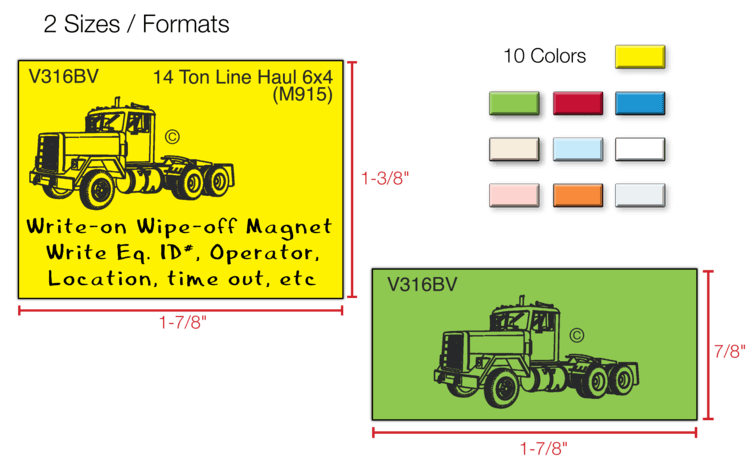 Use them on one of our printed Symbolette® Whiteboard or MagnaMap® Systems to graphically display the Symbolettes® to show equipment usage, inventory, location, operator and commitments, etc. You can instantly spot each item by its image, color and position on the board.